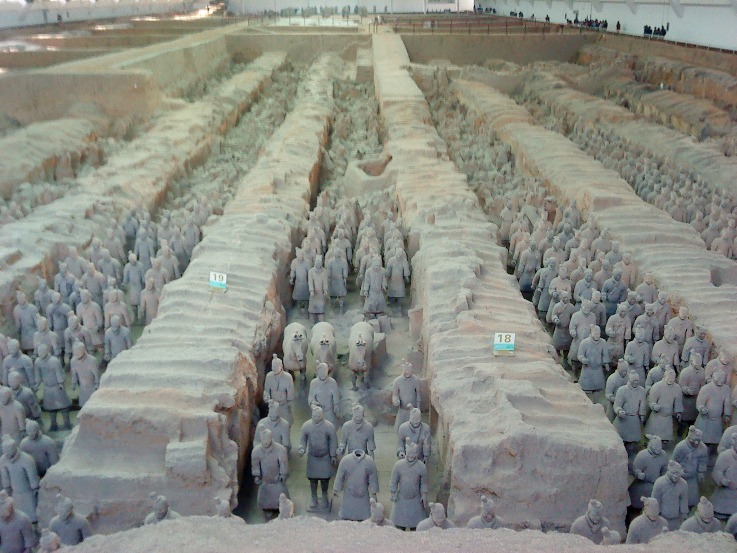 This post is in addition to the Terracotta Army WHS post found here. It is mainly to entice you to visit Xi’an, China and give you more things to do. Here are three more things you can do. A symbol of Xi’an which was built in the 1390’s. You can actually strike the bell for a small fee. The view is pretty awesome from the bell tower. The Drum Tower was also built in the 1390’s and is a symbol of Xi’an. There are Chinese symbols of good fortune on each drum. There are also some very large drums. Unfortunately, you cant strike these. The towers are inside the walled section of the city of Xi’an near the center, so you can’t miss them. They are pretty cool monuments that have stood since the beginning of the Ming Dynasty in the 1390’s. You are allowed to ring the bell (for a small fee), but not the drums. Both towers offer great views of the city, and have small museums inside. The museums are unfortunately in Mandarin Chinese only, but they are still worth a look.